After what feels like a decade of waiting and a rather elusive teaser trailer, the first full Terminator Genisys trailer is out, and boy are we fan-girling over it. A Nod to the Old – No need for me to go into the phonetics here, but god, hearing the classic score in this trailer only helped amp up the octane. If that doesn’t get your nostalgia kicking, perhaps the inclusion of the T-1000 (this time played by Byung-hun Lee) does the trick, or the good ol’ bus flip sequence we’ve seen before. The recreation of Kyle’s entrance into 1984 is fun, and sets up Sarah in her T2 shape, but much earlier. Arnie Will Be Back – It’s been 30 years since we’ve witnessed the first appearance of Arnold’s Terminator T-800 model on-screen. 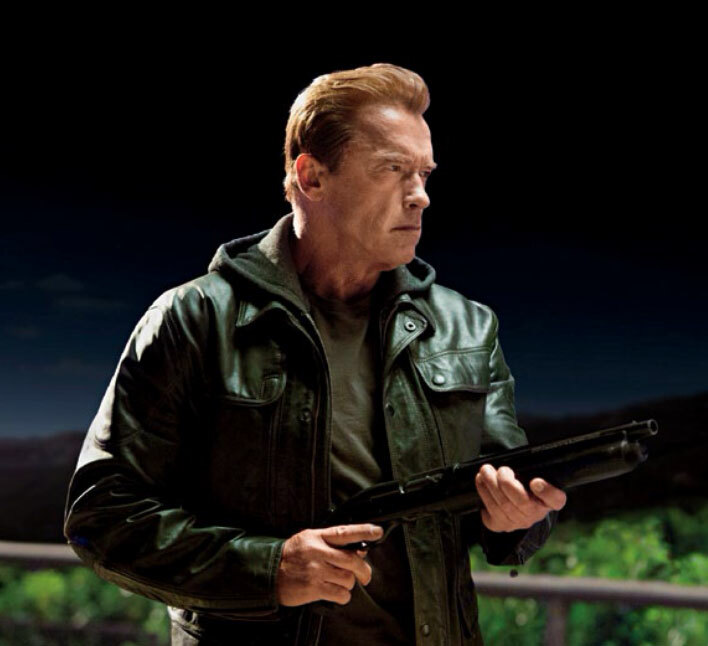 The new plot, blessed with Arnold’s presence, has somewhat come full circle, integrating the original Terminator into latest installment in what appears to be a pretty effective perk of the altered timeline if they can just avoid deleting all the meaning in one of our favorite movies ever. Khaleesi as Sarah Conner = Badassery – Emelia Clarke isn’t new to the fanboy crowd, and that may be where some had their doubts. The Game of Thrones actress hasn’t been seen much outside of her ‘Mother of Dragons’ role, so the doubting is understood, but if Clarke’s delivery of the “Come with me if you want to live!” line doesn’t reassures you, I don’t know what will. She fits the mold of this alternate timeline, and there’s no denying that her commanding presence should make a great Sarah Conner. Time Travel Heals All – After Star Trek Into Darkness and Days of Future Past, this comes as no surprise. The element of time travel will always double as a second agenda for explanation purposes. And while things are different because of this new alternate timeline created, we’re just not sure how beneficial this is to the plot yet. Again, our concern here is the deletion of meaning in the original film by rewriting the canon. No Matt Smith – Admittedly, we were expecting an appearance from the Doctor Who actor in this trailer, but alas, we’ll be expected to wait as Matt’s mystery character has yet to show himself this time around. We know that he’s in the future with John, but not much past that. I’ll have to learn to cope with the weird Timey Wimey business going on. Plus there are enough other characters to focus on in the trailer, and we’re still trying to figure out why it looks like the silver-haired Arnold is aging and Sarah isn’t. You guys excited about Genisys? 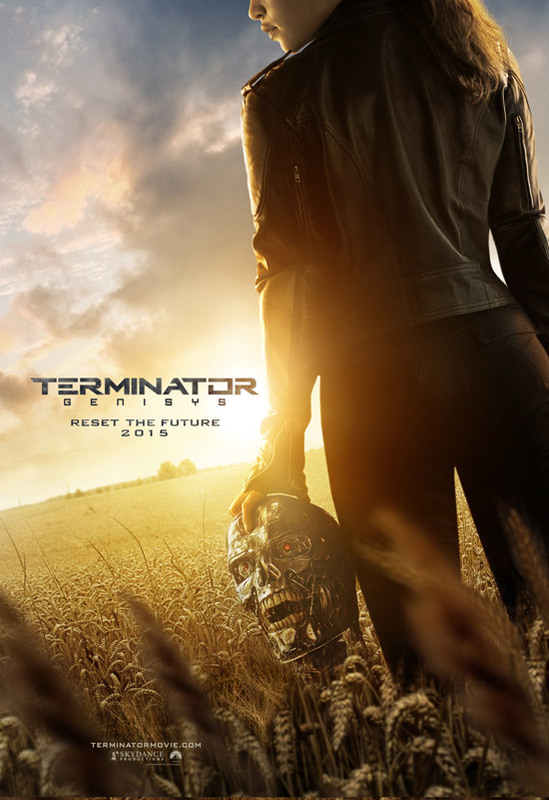 The next chapter of the Terminator franchise hits theaters in mid-2015!